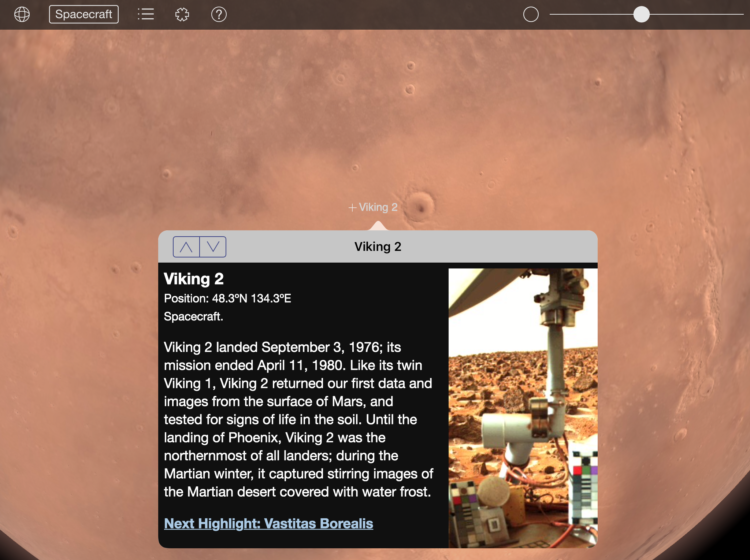 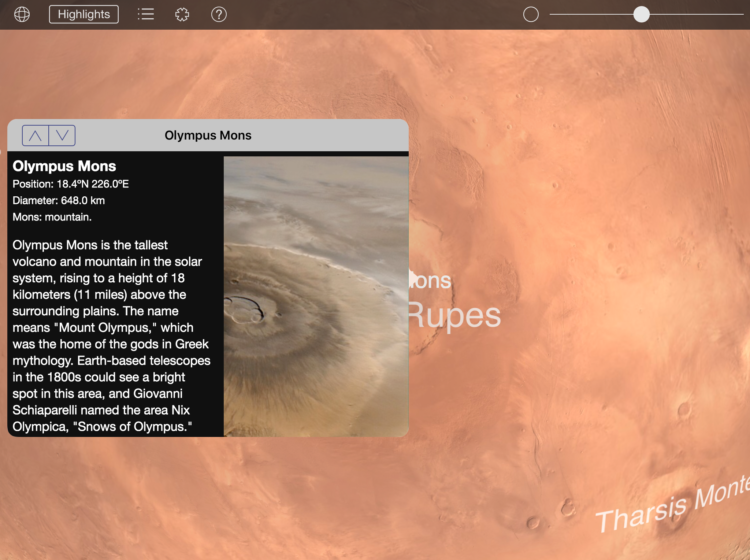 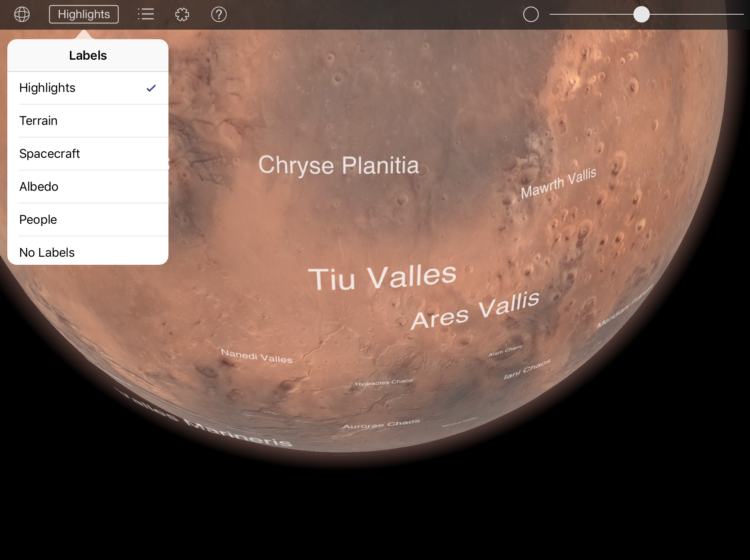 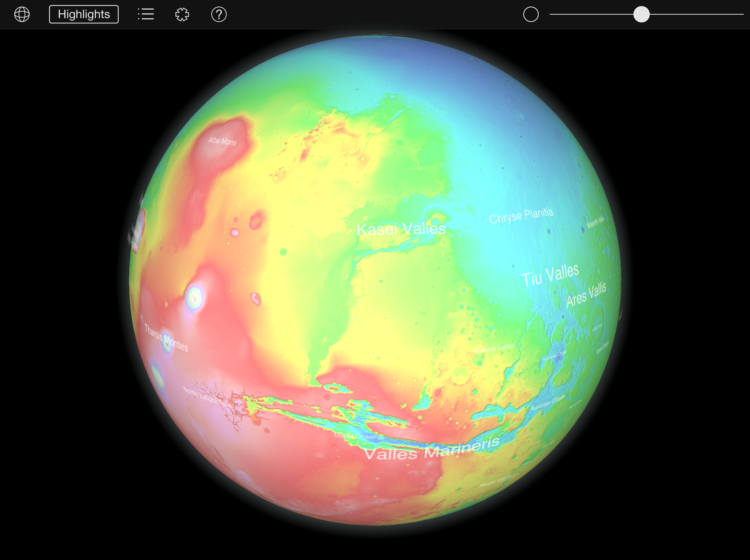 Explore Mars with this great virtual globe! 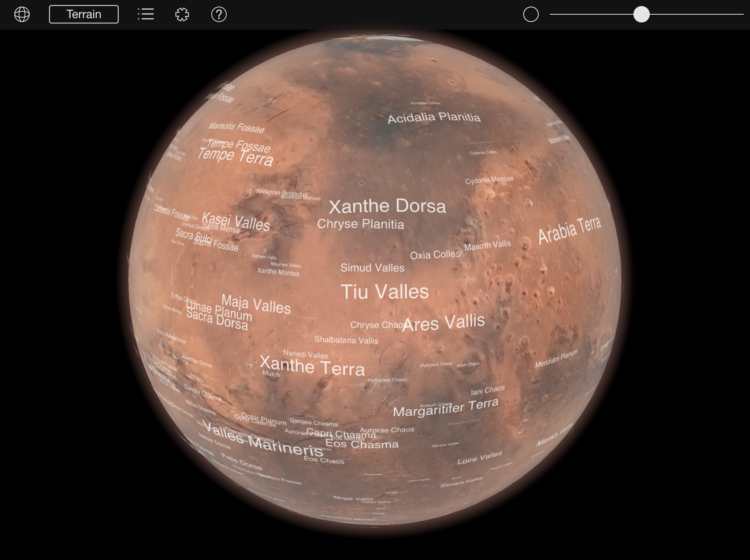 Over 1500 features of Mars' surface are labelled, each with information and links to learn more. 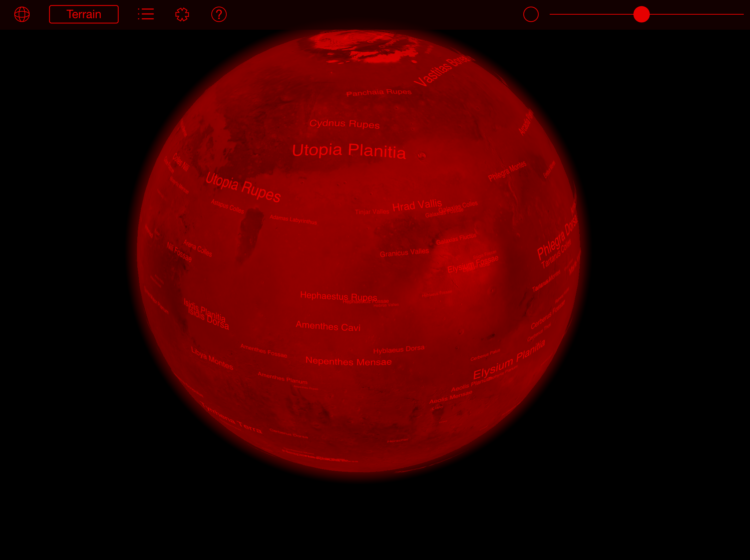 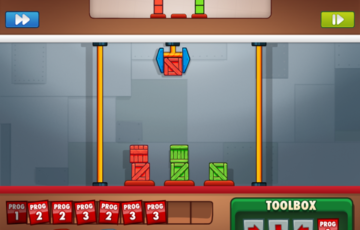 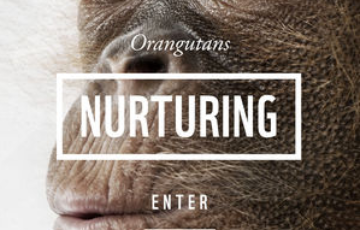 You can even take a guided tour of the planet!